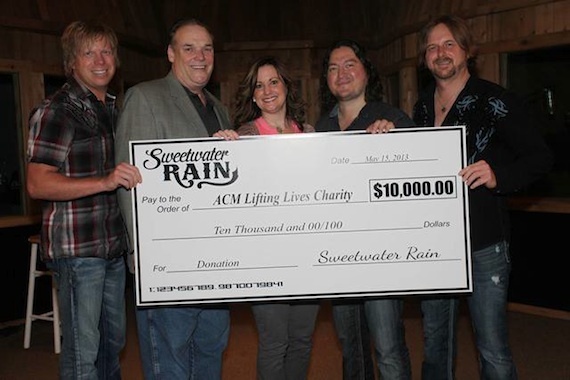 Sweetwater Rain recently stopped by Curb Records to present ACM Lifting Lives®, the charitable arm of the Academy, with a $10,000 donation. ACM Lifting Lives board members, President Bill Mayne and Vice President Lori Badgett, were on hand to accept the generous contribution. 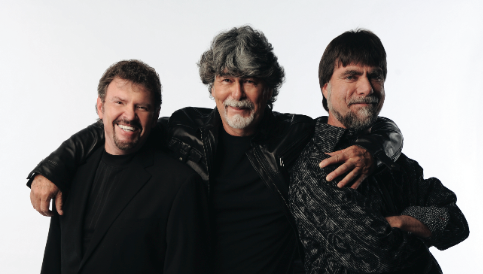 The music video for the group’s single “Starshine” can be seen on GAC, CMT, and TCN and has garnered over 100,000 views on YouTube. The trio is gearing up to release their sophomore single, “Pray For Me,” in the summer of 2013. 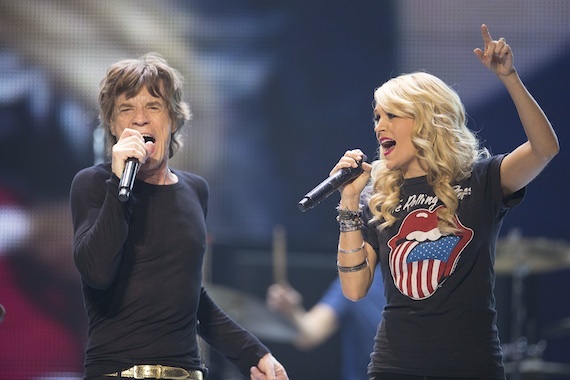 Alabama‘s Back to the Bowery Tour two-night stop in Atlanta marks the highest-grossing run for a country artist in Fox Theatre history, with over $498,000 in ticket sales. The legendary group performed for sold-out houses on both nights with over 8,500 in attendance – a new house record. The two-night engagement was the first time Alabama had ever played the Fox Theatre. The first-ever Best of Bluegrass festival has confirmed a solid lineup of artists for its inaugural event, to be held June 3-8 in Lexington, Ky. Dailey and Vincent, IIIrd Tyme Out, The Cleverlys and Lonesome River Band are a few of the performers that have been named as part of the lineup, along with Masters of Bluegrass, featuring Del McCoury, JD Crowe and Bobby Osborne. Lexington Mayor Jim Gray reflected on both the short-term and long-term benefits of the event. “Both tourism and economic development will be byproducts of festivals like this and we remain convinced that Lexington should play a major role in the bluegrass industry’s big events, including their two-day convention and awards show,” says Gray.